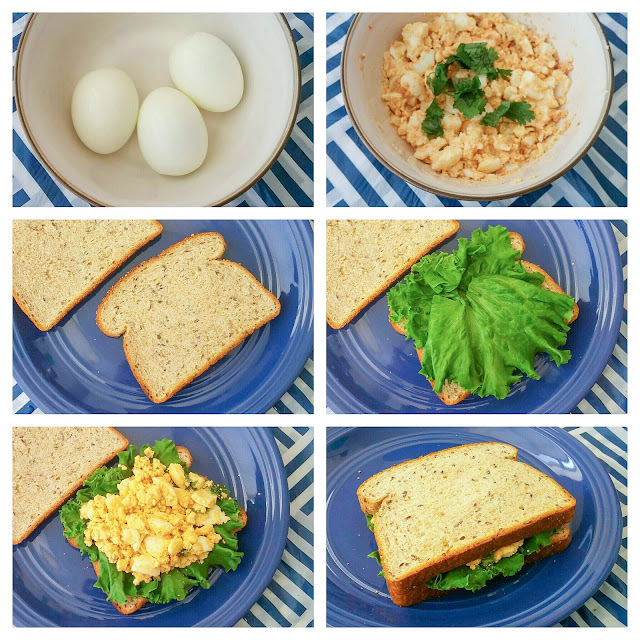 This egg salad sandwich is simple to make, especially if you have some hard-boiled eggs in the pantry. You just mash the eggs, add a spoonful of mayo, sriracha sauce, cilantro and salt to bind all together. Simple isn't it!. 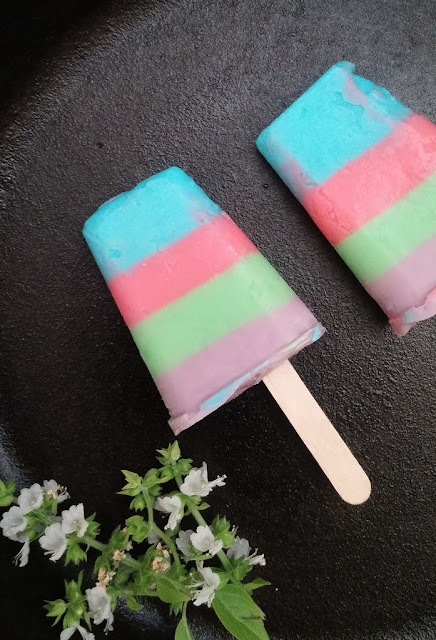 It can serve as breakfast or snack. Place eggs in a saucepan and cover it with water. Bring the water to boil and remove the pan from heat. Close the pan and let the eggs sit in the hot water for about 10 minutes. Remove the eggs from hot water and peel off the shell and chop the eggs. Mash the chopped eggs in a bowl using fork, add mayo, siracha sauce and salt. Mix altogether. Add cilantro and stir again. 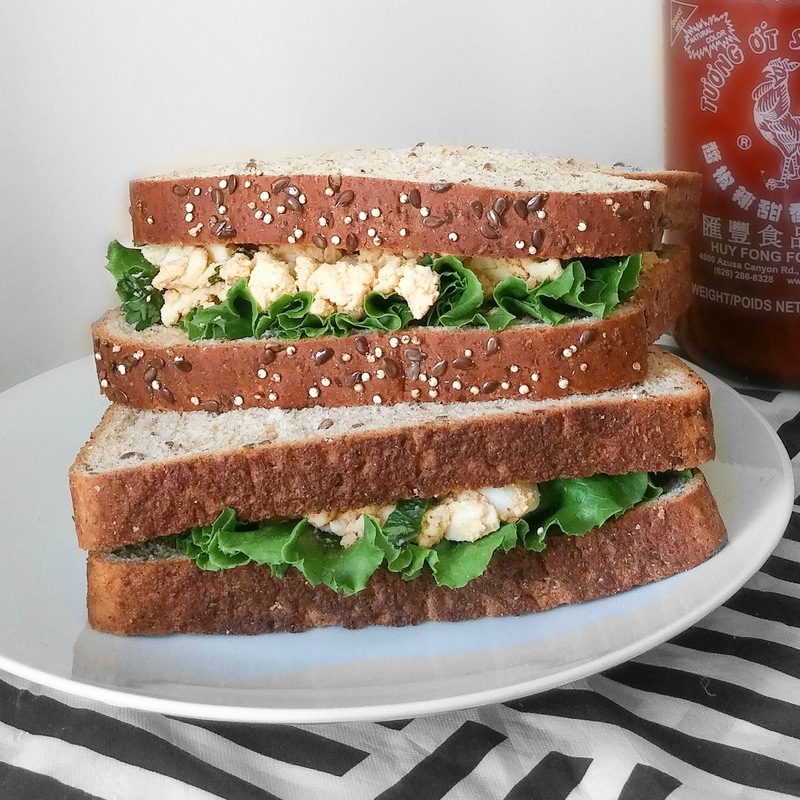 Take a slice of bread, place some lettuce on it and spoon some egg mixture and spread them. Place another slice of bread on top of the egg salad. 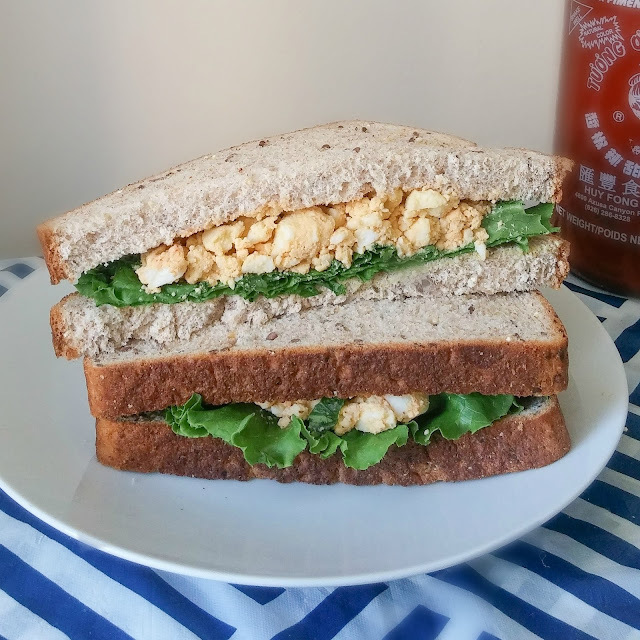 Yummy egg sandwich is ready to eat.